If you look at the online profiles of our doctors, you’ll see they are “board certified” in Family Medicine, Internal Medicine, or Cardiology. This is an important distinction for physicians, and it gives you additional assurance that you and your family are receiving the best possible care. A little background: To practice medicine, doctors must undergo years of rigorous training, including a premedical college degree, a degree from a medical school, and up to five years of full-time experience in a residency training program of their chosen specialty. Only after completing all these requirements are they able to practice medicine in the community. Once they complete their specialty residency program, physicians can demonstrate extra expertise in their chosen medical specialty by earning a certification through one of the 24 accrediting organizations belonging to the American Board of Medical Specialties. Certification means a doctor has acquired the extra knowledge and experience to practice a medical specialty, such as Family Medicine, Internal Medicine, or Cardiology. Doctors earn this board certification by passing an examination administered by the member board in their specialty. The exams assess medical knowledge and clinical judgment, and include real-life situations that demonstrate a physician’s knowledge of the latest medical practices. Medical boards issue time-limited certifications. Their certifications last for up to 10 years, but doctors have to complete additional work between these re-certifications, known as continuing medical education, such as reviewing their performance on patient care and self-assessing their knowledge of new medical developments. In short, the re-certification program provides doctors a structured approach to improving the effectiveness of their performance in treating patients. 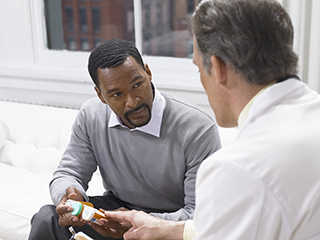 It also assures patients that their doctors remain experts in their fields. MPCP requires all of our doctors to be board certified. This gives our patients the added assurance they’re getting the highest level of care, and that our physicians are committed to keeping their skills sharp and up to date. 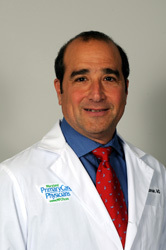 Dr. Riebman is certified by the American Board of Family Medicine and is the current president of Maryland Primary Care Physicians. He sees patients in MPCP’s Annapolis office.